Researchers with the University of California, Berkeley’s SETI Research Center Breakthrough Listen team have deployed new neural net technology to help analyse the reams of data they’ve collected — and they quickly discovered a set of mysterious, as-of-yet unexplained fast radio bursts from a distant galaxy, per TechCrunch. Fast radio bursts are fast, enormously energetic pulses originating from galaxies far away that are currently poorly understood by scientists. Theories explaining their origin include that they are caused by polarised waves travelling through strong magnetic fields in dense plasma (such as from a neutron star in the cosmic neighbourhood of a galactic core’s supermassive black hole or within dense, magnetised nebulas). Other, wilder explanations have included dark matter or powerful alien transmitters. Some researchers believe they are actually common, but scientists currently lack the equipment to detect more of them. It’s possible the bursts have numerous causes. Most fast radio bursts are one-off events. According to a University of California, Berkeley press release, the researchers “trained an algorithm known as a convolutional neural network” to replicate traditional methods of detecting the bursts. They set that algorithm to work analysing five hours’ worth of data from FRB 121102, a source of fast radio bursts billions of light years away, and the only one known to emit them repeatedly. The data comes from the Green Bank Telescope in West Virginia (above), which was pointed toward this source of fast and bright (hence the name) bursts for five hours in August of 2017. Believe it or not, that five-hour session yielded 400 terabytes of transmission data. Initial “standard” algorithms identified 21 FRBs, all happening in one hour’s worth of the observations. But Gerry Zhang, a graduate student at UC Berkeley and part of the Breakthrough Listen project, created a convolutional neural network system that would theoretically scour the data set more effectively. Sure enough, the machine learning model picked out 72 more FRBs in the same period. 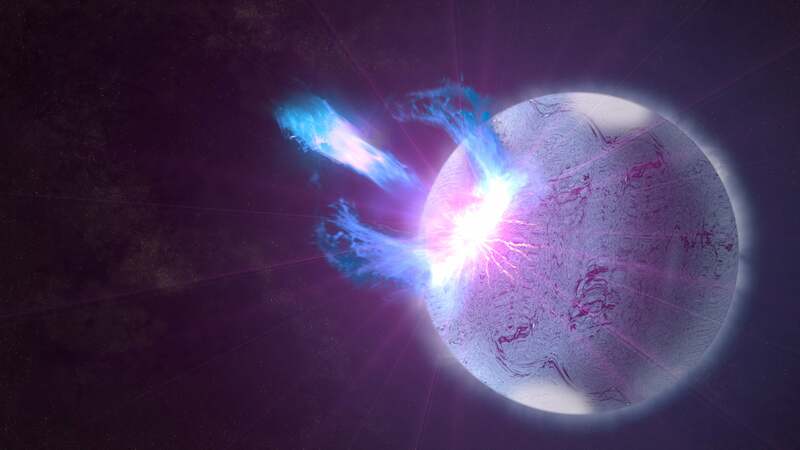 According to the press release, though, the researchers did not find anything to suggest an artificial origin — they detected no pattern to the bursts, “at least if the period of that pattern is longer than about 10 milliseconds”. However, the method detailed in the research could be used to gather much more data about fast radio bursts than before, which could ultimately help scientists conclude their origin. It probably isn’t aliens (and if it was, they’d almost certainly be very long dead), but that doesn’t make the mystery any less fascinating.